Whenever I speak to a skincare specialist, whether it is a doctor or aesthetician, I always ask them what the secret to healthy, youthful skin is. Without fail, they emphasize sunscreen. It is the key to avoiding wrinkles, dark spots and broken blood vessels, but more seriously, skin cancer. I’ve lived in California most of my life where there is sun 365 days a year. Yet, it was only after I got a sunspot that I took SPF seriously. 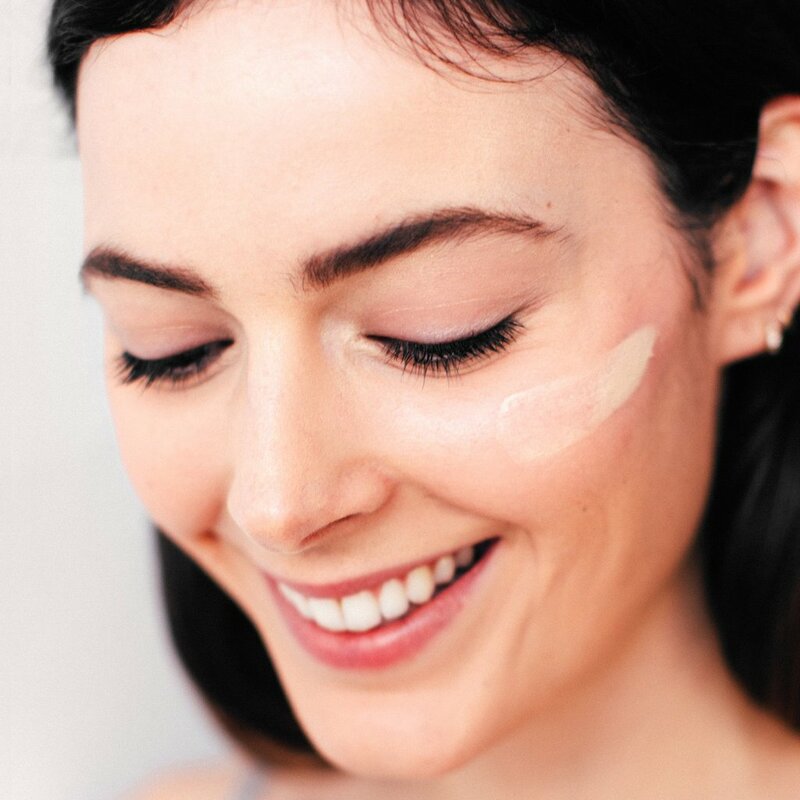 I then made it my mission to find the perfect SPF to protect my skin, especially in areas that fall near my sunglasses: my under eyes, nose and lower forehead. I thought I was okay using SPF 50 from your usual brands like Neutrogena until I realized I was doing it all wrong. I happened upon an article online discussing how toxic most sunscreens are, including the ones I had been using. Child-friendly brands (i.e. Banana Boat, Coppertone) I assumed to be more natural and chemical-free, especially because of its marketing for use on children, was in actuality filled with harmful chemicals that counteract the purpose of SPF. I was horrified and decided to stop blindly shopping for sunscreen that had the “SPF” label. I started my search at the Environmental Working Group (EWG), a useful resource to learn more about chemicals that are harmful in SPFs. The EWG also ranks SPFs 1-10, 1 being safe and 10 being toxic, and breaks down each sunscreens ingredients, also ranking those individually. You can use the search bar to find out what your current SPF has scored. Toxins to avoid include parabens, Sodium Lauryl Sulfate, phthalates, and fragrance. These ingredients are hormone/endocrine disruptors, cause allergies, and are carcinogenic. Fragrance is especially dangerous because it is often used to disguise one of these toxins. When fragrance is mixed with these chemicals it is for the purpose of helping the fragrance stick to your skin. Companies are not required to disclose what “fragrance” on their label contains, and unfortunately many times it contains tens or hundreds of toxins. While working on this post, I spoke to a registered NP named Chelsea off Rodeo Dr. in Beverly Hills, who specializes in skincare (botox, fillers, skin tightening, etc), and asked her about the most important aspect of skincare. Without hesitation, she too said SPF. Not just any product, but mineral SPFs in particular (not to be mistaken for mineral-based spfs). Mineral SPFs are the highest quality sunscreens available. Mineral-based sunscreens are deceptive as they are mixed in with harsh chemicals that are usually counteractive. Chelsea personally recommended HydraTint Pro Mineral Broad Spectrum Sunscreen SPF 36 from Alastin (linked below), which she uses on her clients. My selections below are mostly non-greasy as that is my personal preference, and all have been deemed to be “clean” sunscreens, without harsh chemicals, many being, organic, plant-based or mineral SPFs. While I do not personally like spray SPFs (for fear of inhalation), I have included one for those who would like a way to refreshen their SPF during the day when they have makeup on. Please be cautious when using the product. As for myself, I am currently using Juice Beauty oil-free SPF from Whole Foods (and online).